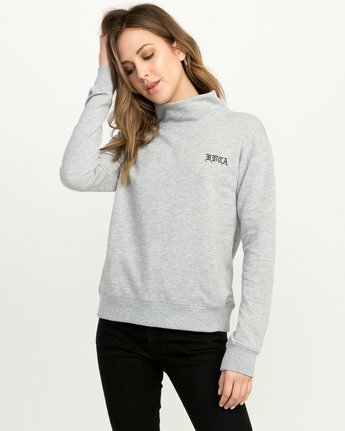 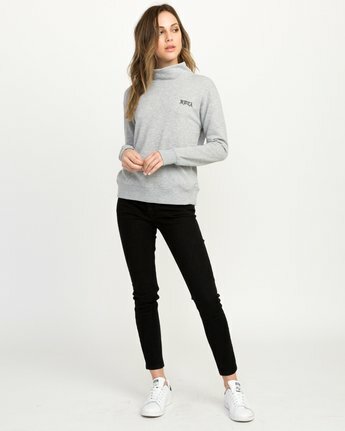 Fuse the old and new with the RVCA Bert Krak OE Mock Neck Sweatshirt. 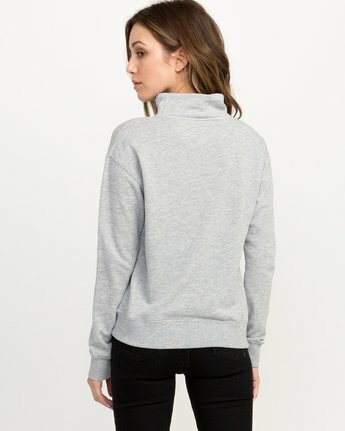 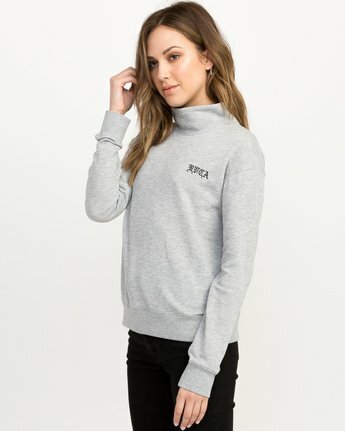 Featuring a custom RVCA logo by the tattoo artist Bert Krak, the womens fleece brings back a 90’s silhouette with a mock neck. 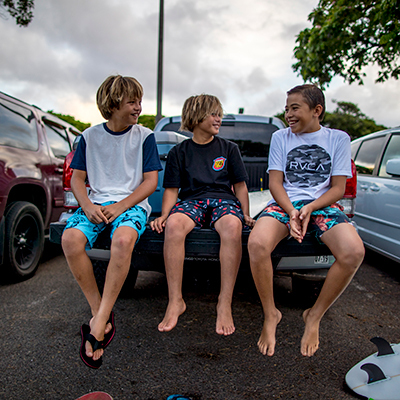 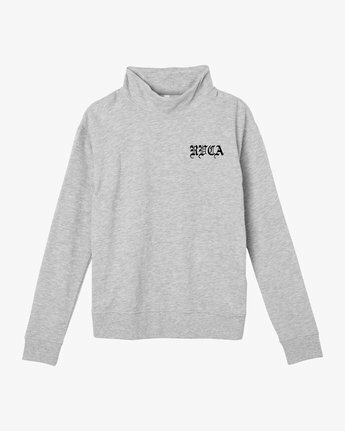 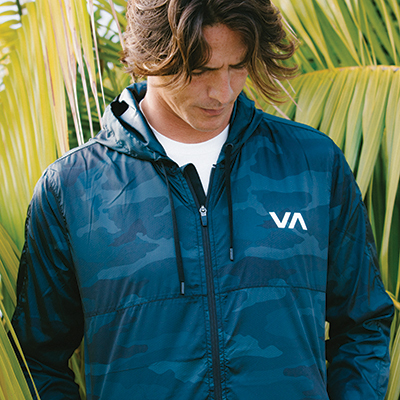 The RVCA logo is embroidered onto a french terry sweatshirt with a relaxed feel.